The Vigo Bay Treasure Company purpose was to find the treasure in the harbor of Vigo, Spain from the famous battle of 1702 known as the battle of Rande. The Spanish Treasure fleet of 1702 sailed from Havana in Cuba on 24th July to return home to Cadiz with a particularly large remittance of silver, part of it to refill the coffers of Philip V of Spain. The fleet was well protected by both Spanish warships (under Manuel de Velasco) and French warships (under Francois Louis de Rousselet Chateau-Renault). As the fleet approached Spanish waters, Velasco sent a fast Spanish ship to Seville to warn the authorities of the approach of the plate fleet. Shortly afterwards news came back that war had began between France and Spain on one hand and Britain and the Netherlands on the other, in what today is known as the Spanish War of Succession. Cadiz was, the news told, under attack by the Anglo-Dutch fleet (under Admiral Sir George Rooke). There was no question of the Spanish-French fleet entering into a major action at sea as the silver cargo was too valuable to risk losing. Chateau-Renault and de Velasco decided to divert to the North, to Vigo. On 23rd September they entered Vigo Bay where they barricaded the small harbour of Redondela and prepared the forts for action. Much of the silver was unloaded and taken inland within a month of the plate fleet arriving in Vigo. Rooke's attack on Cadiz turned out to be a dismal failure but by a lucky turn of events he called into Lagos for water on his way back to England, there hearing that the plate fleet was anchored in Vigo Bay. Rooke sailed straight to Vigo and found 16 or 17 Spanish ships protected by a similar number of French ships, with a boom laid across the harbour entrance. The Anglo-Dutch fleet began a vigorous attack in 22nd October. One of the British warships - either the 'Mary' or the 80-gun 'Torbay' - sailed bow on at the boom and broke it open. The hill forts were soon over-run by the Anglo-Dutch soldiers and it became obvious that the Spanish-French fleet had no chance. Chateau-Renault took the last option open to him, which was to order the French and Spanish ships to be fired and sunk, to prevent their capture. In the event, several Spanish galleons and several of the French warships were captured, the remainder being sunk or burned. One of the captured Spanish ship, 'Tauro',', was brought back to England and it is said that her cargo (then) was worth �200,000 with the total amount retrieved from the battle being some 4504 lbs of silver or �1,000,000 in total but the greater part of cargo had been off-loaded before the attack. 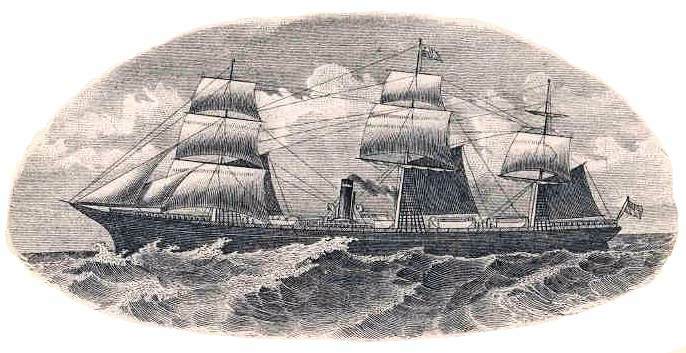 One of the ships being brought back to England as a prize, 'Santo Cristo De Maracaibo' struck a rock just after leaving Vigo and her cargo has never been recovered. This was a terrible defeat for Spain. 2,000 men from the Hispano-French Squad and 800 from the Anglo-Dutch lost their lives in San Simon's inlet. Much of the treasure was captured, but much was alleged to have been sunk, and The Vigo Bay Treasure Company was an attempt at the recovery. 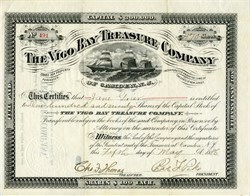 In the book "20,000 leagues under the sea" by Jules Verne, the Vigo Bay Treasure is mentioned and Verne personally visited Vigo to research the subject.